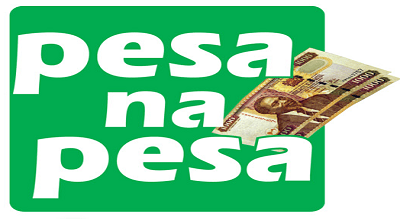 Pesa na Pesa is an innovative mobile phone based borrowing and lending product developed by AVL Capital ltd which offers emergency loans to anyone who needs short term emergency funds. It is an economic stimulant. It is a facility payable within 7 days for amounts up to Kshs.5, 000. However, early payment is encouraged at no charge, and you stand a higher chance of getting a limit increment. Funds are disbursed to a customer’s M-Pesa account and repayments are sent to AVL CAPITAL Paybill Number 990390 and the account number as the borrowing phone number. However customers are requested to always pay using the borrowing phone number to avoid delays on updating their accounts. The AVL Capital Group is a combination of many financial institutions in Kenya including Chase Bank, Safaricom M-pesa, CIC insurance, APA insurance, Benchmark, AIG, UAP and more others. It is still giving out credit services dubbed Pesa na Pesa since 2015to all Kenyan registered members. Physical face to face registration (done only once). Borrowers are required to provide collateral. Dial *415*33# and follow the system promptly filling in your details. An automatic limit will be given to you. You will get a unique PIN for your account. Dial *415*33#, enter your PIN, and proceed to borrow. For Pesa na Pesa loans collateral is required as stated above. Minimum loan amount is Kshs.500 while maximum is Kshs.10, 000. Repayment duration is 10 days. Loan interest rate is 10%. Advantages: the service enables individuals and SMEs to access short-term loans from their handsets. Unlike so many other financial credit options defaulters are not referred to the Credit Reference Bureau. The better your collateral is the larger your loan limit, which encourages the entrepreneurs who need money urgently and can afford to repay it back in a week. Disadvantages: due to the security required it makes it difficult for anyone who cannot afford the security required not be able to access their services. The face to face registration makes it difficult for those far away from their offices not access their loans. Compared to other lending services the loan interest rate is quite high for 10 days. this discourages borrowers making them to attempt borrowing from other financial options. Recommendable for those near their offices, can afford the collateral and requires microloans. Entrepreneurs can also benefit from Pesa na Pesa loans as they tend to handle money day in day out and hence can make to repay the loans according to the terms, that is in a week. Anyone else needs to consider other institutions for accessing loans.